So for this month’s TSQL Tuesday, Adam Mechanic has asked us to take a look into the future and think about what things might look like when TSQL Tuesday #200 comes around (apparently that’ll be June 2026). So I thought I’d have a little bit of fun with this by going all sci-fi on you, jump into my DeLorean, take a trip to June 2026 and at the risk of disrupting the space time continuum, bring back a (slightly worrying?) 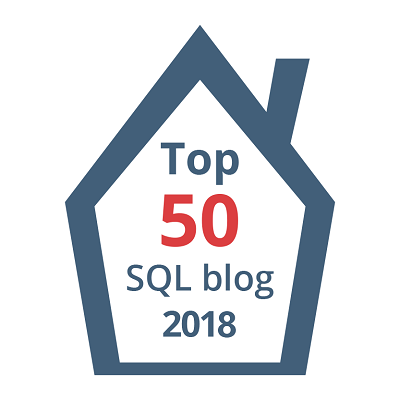 post from SQLUndercover.com on the release of SQL Server 2026. So sit tight, strap in and lets go back to the future…. I think that it’s more than fair to say that it came as a shock to many when two years ago Microsoft announced that they would be selling the majority of their products, including SQL Server to Cyberdyne Systems, a company better known for artificial intelligence and military software. So two years since that sale and three years since the last version of SQL Server was released, Cyberdyne have released SQL Server 2026. Lets have a look at some of the new features that we’re going to see in the latest version. The move towards cloud based systems has been building up steam since the middle of the last decade and despite a slight reversal in the trend after the ‘Great Cyber Attack’ of 2021 when North Korean hackers managed to steal all data stored in Azure and AWS, it has continued at pace. Because of that I guess it’s not a total surprise that SQL 2026 will become the first version of SQL Server to be offered exclusively as a cloud based platform. SQL Server 2026 along with all other new product releases will be hosted on Cyberdyne’s Skynet platform. Skynet has been built around a revolutionary new, breakthrough CPU developed by Cyberdyne. The specifics of this CPU have been very closely guarded but it’s claimed that the single core processor is 100 times more powerful than anything currently on the market and although there is no official test data, early performance benchmarks carried out on Skynet’s hosted systems seem to back this up. Why all the secrecy around the CPU? While some conspiracy theorists would have you believe that Cyberdyne have managed to reverse engineer the processor from captured technology originating in the future, we assume that it’s because of it’s probable government or military roots. Some people have raised concern over the move to Skynet. With all former Microsoft products due to move to Skynet and Cyberdyne’s aggressive stance towards Linux and Apple, it looks like locally stored data will soon be a thing of the past (we’re already seeing desktop PCs being sold without local storage, but instead a bootable connection to Skynet). Cyberdyne’s lead developer, Miles Bennett Dyson has rejected suggestions that this move has been instigated by the US Government, to give them the ability to bypass the continuously tightening European data regulations and give them unrestricted access to all our data and systems. By hosting everything centrally, Cyberdyne insist that our data is more secure and systems more reliable than ever. We’ve seen automation gradually find its way into SQL Server but it’s never really been taken too seriously. We’ve had index suggestions for years but as we all know, they’re not really to be trusted. Auto shrink and auto close, why were they ever included? We saw auto plan correction and auto index management introduced. The Automated Database Administration (ADBA) feature arrived in SQL 2023 and was able to undertake many of the more mundane roles of the DBA, but all these features, up until now have required a human eye just to make sure they were doing what they should. Starting in SQL 2026, Cyberbyne have incorporated their artificial intelligence systems into the ADBA which they say has totally eliminated the need for a DBA. Global Systems Integration (GSI) is one of a number of features of Skynet and allows the integration of all data stored in any system hosted by Skynet. This has been incorporated into SQL Server 2026 and now means that business can not only analyse the data that they hold on a customer but also draw on the data held on any other system. With an anticipated 98% of all global data being held on Skynet by 2030, including medical, surveillance, social media and administrative data, organisations will now be able to get a much better picture of the habits of their customers then ever before and target their marketing accordingly. Another feature of Skynet that has been incorporated into SQL Server 2026 is Automatic Threat Detection (ATD). ATD will automatically detect any threat to SQL Server, be it a virus, hacking attempt or some other attack and through the use of GSI, trace the source of the threat and terminate it. What exactly that means is yet to be seen. The last feature we’re going to look at is Advanced Machine Learning. Back in the old days of SQL 2016 and 2017 machine learning was mainly focused on data analysis but Cyberdyne has picked it up and taken it so much further in SQL 2026. Using their artificial intelligence technology, they claim that SQL Server now has the ability to learn so much more. It can quickly learn the intricacies of a new programming language and interpret the needs of a client allowing it to quickly and automatically build solutions, reducing the need for database developers and data analysts. It can quickly learn new trends, adapt to its changing situation and make independent decisions. John Connor of Tech-Com has raised concerns over the possible dangers of an intelligent computer having control over the vast majority of the systems in the World. He has suggested that Skynet could develop to the point that it becomes sentient and autonomous. Of course, such worries would be better suited to a science fiction film and we here at SQL Undercover are very excited by this latest version of SQL Server. We did try to catch up with Adam Machanic at the recent SQLBits, held here at the global headquarters of SQL Undercover Incorporated for his opinions but we must have caught him at a busy time because all he said was, “I’ll be back”, before jumping on his motorcycle and riding away.